Are you a filmmaker who dedicate your life for humanity? The festival is waiting for your excellent film and documentaries. Some people said leaders are born. Social heroes are made and shaped with our living condition while interacting with others. They can be simple men or women, but having great hearts. People who have compassion towards others in need; who cry with others who cry and make them smile again; people who have strong yet tender hearts to stand up for others screaming for help. World Social Heroes Prize (WORSHEP) is conducted under the large wings of International Film Festivals Group, who was established to help the United Nations to promote its international days and to make a better world. WORSHEP works together with a group of movement, the Council of Creative People (Dewan Kreatif Rakyat) and the International I–Hebat Volunteers in giving recognition to anyone who has inspired the world and make it a better one to live. WORSHEP mission is to promote films/documentaries and people who work hard and dedicate their lives for the benefit of humanity. The winning films and the people profile will become our showcase based on their CVs and the board of jury’s decision. Do you know or live with anyone who deserves an international recognition? You can submit your profile, and any person (who is still alive or who has already passed away). We receive submissions from all over the world and waiting for your excellent films and documentaries. - State your name and your relation to the person you suggest. - CV and other supported documentation or related information like photos, clipping, or films are suggested. Submitter may submit him or herself or a person he/she knows who work for the benefit of other people in need. A narrative feature film with duration > 60 minutes (max length 130 minutes). Be it known to any filmmaker or submitter, by submitting your film/s to the World Social Heroes Prize, you are agreeing to all TERMS AND CONDITIONS below in full. Submitters can submit themselves, or people you know, living or dead. CV and other supporting documentation or related information like photos, clipping, or films are suggested. Juries may also search information from other sources once we accept the submission. 20. 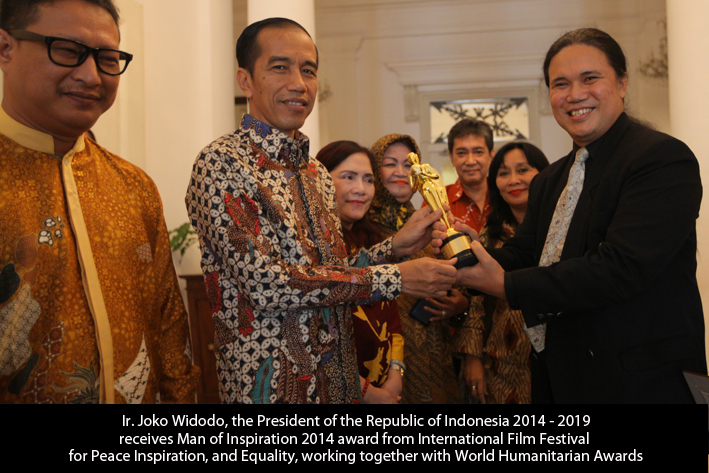 All disputes in respect of any matter relating to the World Social Heroes Prize shall be subjected to the exclusive jurisdiction of the competent courts in North Jakarta. Any dispute arising as a result of submission to the Festival will have a recourse limited to the lesser of either the submission fee paid or the cost of correcting the issue.